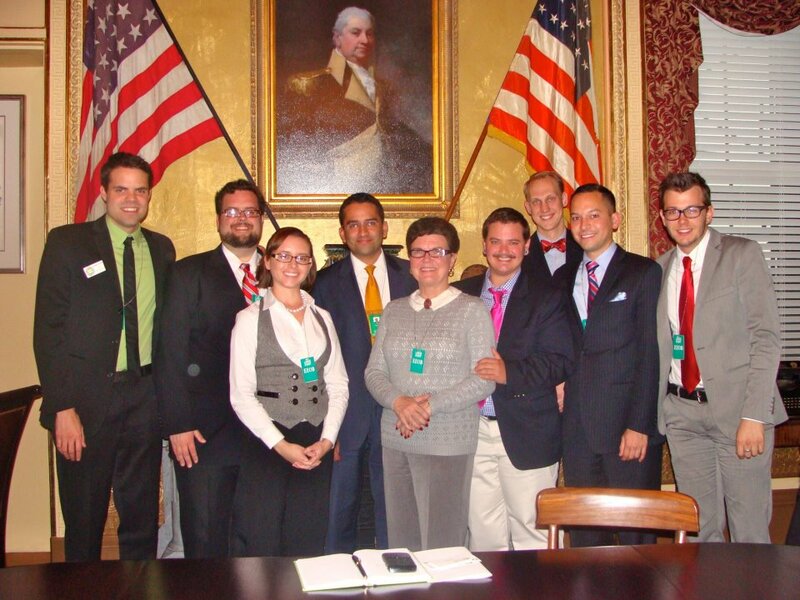 Last week, representatives of Equality Florida went to the White House for a Florida Community Leaders Briefing. I joined other Equality Florida staff and leadership volunteers for a day long briefing to get the latest on what the administration is doing on jobs; healthcare; the environment; education and LGBT rights. The day began with a tour of the East Wing of White House. David Plouffe, advisor to the President, opened up the day by welcoming participants and giving an overview of the President's accomplishments. (As a Plouffe groupie, this was one of the highlights of the day.) In the morning we heard from the Deputy Administrator from NASA; the ambassador to Portugal; one of the White House top economists (who was actually very funny) and the head of the International Broadcasting Bureau. After lunch we broke out into issue groups and discussed the Affordable Care Act; the American Jobs Act and the environment. At the end of the day our team had a chance to sit down with the White House's LGBT liaison and discuss the President's record on LGBT rights. We were able to thank him for everything the administration has done for the LGBT community, and remind them there is still lots more to do. Thank you to the White House for such a fantastic opportunity!